What are the Requirements to Enter Seminary? Should Jesus Christ be my Friend? One of my favorite movies is the Disney movie Big Hero 6, because I think it deals with many Christian themes through the prism of a secular figure in contemporary culture. In Christian circles today, we hear many people testify to the importance of a friendship with Jesus Christ in their active, present lives. As I go about my day, living my life as a future priest, I hear these words and applaud, for any attempt at spreading the good news, or to put another way, marketing a Christian or Catholic way of life is a good thing in a secular world. I express here, my concern, because I do not think some Christians are expressing an effective message as to why a relationship with Jesus Christ is important in their active, present lives. I am convinced in today’s world, everyone, including myself, is carrying a pain emotionally, psychologically, and spiritually. Perhaps it is a pain that will hopefully blow over, for instance, are you a mom or dad that recently feels tension in your relationship with your teenager son or daughter? Maybe their grades have dropped, or the keeping breaking curfew, rebelling, and behaving in ways that cause you tension or worry that they will grow into fulfilled happy adults. Perhaps it is a pain that you must physically carry with you for the rest of your life? Have you recently been diagnosed with something that has no cure, for instance, like Multiple Sclerosis? Or perhaps someone close to you in your family you have lost? Has a mother or father passed away? Even more difficult, has someone lost a child? Have you been estranged from someone you love very dearly? Maybe things are going well for the most part, yet your soul feels unfulfilled, because of the constant longing for something more for ourselves that never seems to be fulfilled in our culture, which I would argue comes from the fallen nature of the person? In today’s culture, ideas and material things are marketed to us that might make us think any hurt or suffering is our fault and if we feel any sense of loneliness something is inherently wrong with us as an individual. If I may be so bold and use an idiomatic expression, I think that is baloney! I think our culture has removed the importance of having a relationship with Jesus Christ and God our creator and that is why we struggle with carrying a pain emotionally, psychologically, and spiritually. I am not suggesting that modern science, and culture cannot fulfill us, however, there are, as Bernard Lonergan the Canadian philosopher says, a few types of finality in the fulfillment of the person. Two of these types are vertical and horizontal finality, which in many, complex ways have to do with fulfilling us while we exist before death, but also absolute finality, which has to do with our universal, final cause, and that is our union with God. Hence, we now understand why a relationship with God the Father through Jesus Christ is important. If we lack this relationship, we can confuse ourselves into thinking that things of this world will satisfy us, especially during periods of suffering. Sometimes these periods of suffering last longer and leave scars that never quite heal, and they change us forever. Things of this world can help, like counseling, group therapy, associations with communities of family and friends, but what happens when everyday life moves us away from things like these that are not eternal, and we find ourselves feeling empty again? 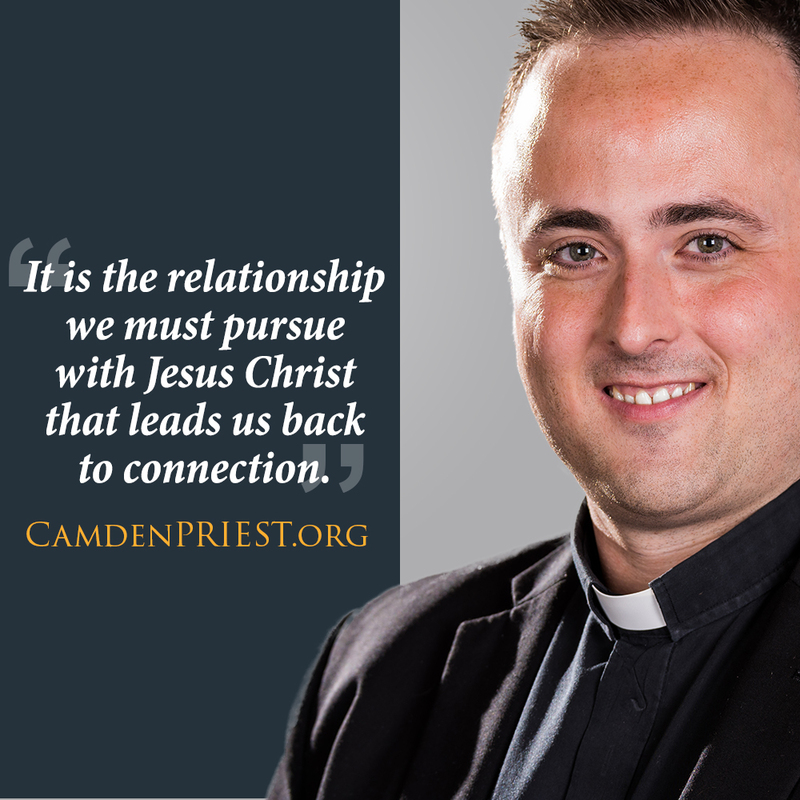 It is the relationship we must pursue with Jesus Christ that leads us back to connection. 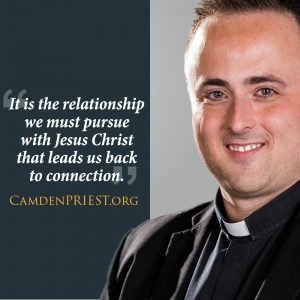 Jesus is our goal, the truth and the life and we are connected to Him through many things of this world, but significantly through prayer, the Mass, sacraments and the Gospel. I think I like many things about the movie Big Hero 6, especially the connections to family life and its importance. What I like most, however, is after Hiro’s loses his brother Tadashi, he is devastated. The Robot Baymax provides a constant healing presence. Baymax never fixes the loss of Hiro, nor does he try to replace Tadashi. What Baymax does, however, is allow Hiro to follow his destiny, redirecting him when he gets lost, and loving him by being present when he gets hurt. This is a type of Christ like relationship I think our Catholic faith offers to everyone, and this is why I think a relationship with Jesus Christ is important in today’s culture. Christopher Myers attends Immaculate Conception Seminary at Seton Hall University in South Orange, NJ.